Getting your world state into Dragon Age: Inquisition is easy. Just follow the steps below, and you'll be good to go! 1. Make sure you are logged in to your EA (formerly Origin) account on your PC or console (whichever platform you are using to play the game). For PC players, ensure that your antivirus software is not blocking your EA account from running. This may mean you'll have to disable it temporarily. 2. If you are playing on console, you must make sure your EA (Origin) account is linked to your gamertag. To do this, follow the instructions here. If you've already set up your world state using another EA (Origin) account than the one linked to your gamertag, here's how to fix that issue. Underneath where it says 'Connected Personas,' you'll be able to see linked accounts to the Keep. One will always be linked under PC (that's your Keep account). If you are playing on a console and your gamertag doesn't appear on this screen, you will need to try connecting your gamertag to your EA (Origin) account again. 4. If you're playing a digital copy, please wait for the game to finish downloading before starting to play. If you start a new game before the download is done, you may not be prompted to use a custom world state. 1. Export the world state you wish to use in Inquisition. For a detailed explanation of how to do so, check out the World State Manager Tutorial. Ensure that your computer is connected to the internet during this process. Please note the time stamp on your exported world state. 2. Make sure you have Origin open and running. 3. Open up Inquisition and select 'New Game' to begin. 4. Select your Inquisitor's race, class, and your preferred game difficulty. 5. After you've completed these steps, you'll be prompted to import your world state into the game. Hit 'Yes' to import. 6. Once your world state has been imported, check to make sure the time stamp in the game matches the one shown in the Keep. 7. Click 'Confirm' to complete the import of your custom world state. 8. Proceed through the rest of the start-up process and then start playing! 1. Export the world state you wish to use in Inquisition. For a detailed explanation of how to do so, check out the World State Manager Tutorial. Ensure that your Xbox is connected to the internet during this process. You may disconnect after. Please note the time stamp on your exported world state. 2. Press Y at the menu to log in to your EA (Origin) account. 5. After you've completed these steps, you'll be prompted to import your world state into the game. Hit 'A' to import. 7. Press 'A' to finish importing your custom world state. 8. Proceed through the rest of the start-up process and start playing! 1. Export the world state you wish to use in Inquisition. For a detailed explanation of how to do so, check out the World State Manager Tutorial. Ensure that your PlayStation is connected to the internet during this process. You may disconnect after. Please note the time stamp on your exported world state. 2. Hit triangle at the menu to log in to your EA (Origin) account. 5. After you've completed these steps, you'll be prompted to import your world state into the game. Hit 'X' to import. 7. Press 'X' to complete the import of your custom world state. If you are prompted to load a default world state instead of a custom one into the game, please ensure you have followed all the steps in the Setup section of this tutorial before trying again. You've exported a world state successfully before, but you aren't able to export a new world state now. Exit the game, remove the disk (if applicable), and restart your PC or console. Then enter the game. You should now be able to export a new world state. Your custom Warden or Hawke is referenced in-game as the incorrect gender/race/class. First, check your playthrough state (following the steps here) to ensure you've exported your world state correctly and that you've set your preferences as you wanted them. After doing so, go into the hero tiles for Dragon Age: Origins and Dragon Age II and change them to default heroes. Refresh the page, then return to those tiles and change them back to your desired custom heroes. After that, re-export your world state. You exported a custom world state but the game is referencing the default world state. Go back in to the Keep to check your playthrough states to verify that you exported the correct world state. Then, load your desired world state in the Tapestry, and lock it. Afterwards, re-export your world state. You followed all the steps to export correctly, but the game is still not detecting a custom world state. If you have followed all the steps and are still unable to export your world state, try loading another world state into the Tapestry and exporting it. After doing this, re-load your desired world state into the tapestry and export it again. If you're playing on PC, you may need to restart or re-install Origin before attempting another export. You exported a world state using the Keep (look for the green check mark next to your world state name). Your console or PC is connected to the internet during the export process. You are logged in to the correct EA (Origin) account. The correct gamertag is linked to your EA (Origin) account if you are playing on console. If you're still having trouble importing your game, click Contact us to request help from an EA Advisor. You can also get help from your fellow players here on Answers HQ or tweet @DragonAgeKeep. Someone answered your question? Hit that 'Accept as Solution' button. You like a post? 'XP' button is your friend. Learn how to customize and manage world states using the Tapestry in Dragon Age Keep. The World State section allows you to manage up to 10 world states. You can find it in the slide-out menu on the left side of the Keep. The World State section has three tabs: Editable States, Playthough States, and Shared States. Editable States allows you to view, edit, create, and share your world states. Playthrough States contains saved world states from Dragon Age: Inquisition that you will be able to modify in the Keep. Shared States shows world states that your friends in the Keep have shared with you. If you want to play one of these world states, you'll have to export it to Editable States. You can access these tabs by clicking the arrows on the left and right sides of the page, or by using the dropdown menu in the upper left corner. You can organize and customize your world states here. The world state currently loaded in the Tapestry will appear in the slot above your editable states. In the gallery of world states below, a red flag signifies which state is loaded into the Keep at that moment. To add a new world state, click the + icon on any empty (grey) world state slot. To edit an existing world state, click on the one you wish to modify. To share a world state, click on the world state, and then the share icon in the pop-up window. To load a new world state into the Tapestry, click and drag it to the slot above your editable states. Then, click 'Edit in Tapestry' to make changes. To view a world state, click on it and a pop-up will appear. Here, you can customize your world state's title, description, and other actions. Click the pencil icons to add or edit a title and/or description. Don't forget to hit the checkmark icon to save your text. To play the ISS, or Interactive Story Summary, of the selected world state, hit the play icon. Next to the play icon is the share icon. Click it to share this world state with a friend. To lock a world state, click the lock icon. You will not be able to make further changes to this world state unless you unlock it again. You can delete a world state by pressing the trash can icon. Please note that once you delete a world state, there is no way of recovering it. You can also load your world state into the Tapestry for editing. To export it, click the 'Load in the Keep' button. Share a selected world state with your Keep friends. You can add friends in the Friends section in the right-hand menu of the Keep. To share a selected world state, click on the share icon. Here you can select which friends you'd like to receive your world state. You can also add a custom title and description. Once shared, your friend will receive a notification and be able to add the shared world state into one of their 10 available slots by pressing the 'Copy to Editable' button. If you receive a world state from a friend, it will show up under the 'Shared States' section of the World State Manager. You will also receive a notification. Once you've decided on a world state to modify or export to Inquisition, you can load it into the Tapestry by either opening the selected world state and clicking 'Load in the Keep,' or dragging the world state to the top slot, and pressing 'Edit in Tapestry.' This action will take you back to the Tapestry. The name of the world state currently in the Tapestry will appear in the upper right corner next to the globe icon. It will indicate if you have not yet exported your state to Inquisition. It will also tell you the last time your world state was updated or synced. To see more information about your world state or perform more actions, click the globe icon in the upper right corner of the Keep to open the World State Manager. Here, you can click the play icon to view the ISS (Interactive Story Summary), the share icon to share your world state, the random icon to randomize the choices in this world state (this will overwrite your previous choices for this state), or the lock icon to lock the state. Once you've customized your choices and are ready to start playing your world state in Inquisition, click 'Export to DA Inquisition' to send that state to the game. A pop-up will appear asking if you're sure you want to put this world state in the Inquisition slot. You can only export one world state at a time. If you have already exported another state and not saved it in the game, pressing 'Yes, Continue!' will overwrite your previously exported world state. After you've exported the world state, the screen will indicate that the world state has been sent to the game. Please note that your computer or console must be connected to the internet while you export the world state. The status of your world state in the upper right corner (next to the globe icon) will also change to reflect that this state has been exported. After you start playing Dragon Age: Inquisition, your choices in the game will be uploaded to the Keep. This tab will load your saved games fromInquisition into the available slots in this section. Playthrough states will appear after you've finished character creation in the game. You can move a playthrough state to the 'Editable States' section to load it in to the Keep and make changes in the Tapestry. To do this, click on 'Copy to Editable.' You can also click on a playthrough state to see a preview, add a description, and copy from there. Afterwards, you can re-export that world state if you choose. You can view all the world states friends have shared with you in this tab. Each slot will indicate the name of the world state, the username of the friend that shared it, and the option to copy the world state to an editable slot. To save a shared world state, click 'Copy to Editable.' You can change the title or description of this state if you wish. Once it's in a slot on the Editable States page, you can export it to Inquisition. Remember to save your world state to an empty slot. You have the option of overwriting an existing world state or putting it in an unused slot. Saving over another world state will erase the preexisting state. Still have questions? Hit that 'New Post' button here on AHQ or tweet @DragonAgeKeep. Here's how to use Dragon Age Keep to check that you've successfully exported your choices into Inquisition. Playthrough states appear once you've successfully exported a world state into Dragon Age: Inquisition and have finished character creation. 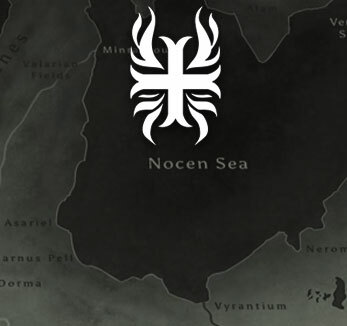 These states contain both the world state you exported to the game and the decisions you've made so far in Inquisition. To access your playthrough states, open the left-hand menu in the Keep, and click on 'World States.' If you're not sure how to navigate the World States section, check out our step-by-step walkthrough. When you enter this section, you'll see 'Editable States.' Use the arrow on the right side to move to the next section, 'Playthrough States.' Or, you can use the drop-down menu in the top left corner of the page. In the Playthrough States section, you'll see any world states you've exported to the game and played. Current Playthrough represents your most recent save. Click on a playthrough state to see a small preview of the choices and heroes associated with that state. Please note, custom heroes will show as default in this section, as the game does not read hero info beyond gender, class, and race. If the gender, class, and race of the default character matches your custom one, the information was successfully exported. You can also add a custom description and name to a playthrough state by clicking the pencil icons. This will help ensure you don't get your playthroughs mixed up. Make sure to hit the check mark to save the name and/or description after you're done. To see your playthrough state in full, click 'Copy to Editable.' A pop-up will appear, asking you to save the world state to one of your editable slots. You can also re-name or change the description here. You can choose to save this state to an empty editable slot, or overwrite an existing world state. Once you press save, return to 'Editable States'(the first section) by pressing the left arrow or using the drop-down menu. Once you're in the 'Editable States' section, you'll see the playthrough state you just copied over in one of the editable slots. To view the playthrough state in the Tapestry, you can drag it to the top slot and click Edit in Tapestry. Or, you can click on the state to open a pop-up. To view it in the Tapestry from the pop-up, click 'Load in the Keep.' You can also perform other actions here, like deleting or sharing this playthrough state. Once it's loaded in the Keep, you can return to the Tapestry. There, you can double-check that the playthrough state contains the choices you exported into the game. If the decisions aren't correct, please try exporting your world state again making sure you follow the step-by-step instructions in our exporting guide. Still have questions? Select the 'New post' here on Answers HQ or tweet @DragonAgeKeep. Check here for steps to try if your custom heroes, achievements, or rewards from Dragon Age: Origins and/or Dragon Age II aren’t appearing in the Keep. Please keep in mind that it may take some time for your heroes to appear in the Keep, especially during busy periods. You must use the same EA (Origin) account on the Keep as in the game. If you’re using a different account, the Keep will not be able to connect to sync your game data. You must be using the latest patch version (1.05 for DAO, 1.04 for DA2). To get your data to sync with the Keep on all platforms, make sure that you’ve set your character profiles to upload in the options menu from in-game. You can do this by launching the game, opening the save you want to sync from, and checking that the option to upload character profiles is on. To force your character to sync, you can try un-equipping an item from your character, saving your game, re-equipping the item and then saving again to force a sync. If you ever enabled the developer console in the past (this may have been done automatically by enabling mods) or currently have it enabled, this will block your data from syncing. You will need to disable it to sync with the Keep. Also, try loading the character without any active or installed mods. If you encounter anything preventing you from using the Keep, try these troubleshooting steps first. First, log out of the Keep by visiting dragonagekeep.com/logout. Next, clear your browser history, cookies and cache. Finally, log back into the Keep using your EA (formerly Origin) account. Visiting the Keep with a different browser. Browsing in incognito mode if you use Chrome. Visiting the Keep using a different device (eg. other computer, phone tablet, PS4 or Xbox One browser). If you have other questions, check out the Dragon Age Keep FAQ or send us a note on Twitter @dragonagekeep. Here’s how you can use the Keep to relive past choices, discover new possibilities, and share your unique Dragon Age history with friends. How do I get my world state from the Keep into the game? For a list of step-by-step instructions, check out our comprehensive guide to exporting your world state. You can also use the Keep to double check that you've exported your world state correctly, and here's how. I've finished my playthrough of Inquisition. If I export a different world state to use in a new game, will that mess up my previous playthrough? Exporting another world state for use in a new game won't have any effect on previous games. You can even have multiple games going at the same time based on different world states. Just make sure you've saved your existing game before starting a new one. Will my Dragon Age: Inquisition playthrough decisions be directly imported into the Keep, or will I have to go back and select them again? If you are online while playing Dragon Age: Inquisition (or the next time you go online), your story choices will be sent to the Keep. Do I need to use the Keep before playing Dragon Age: Inquisition? Visiting the Keep is not mandatory before playing Inquisition. There is a default World State in the game that will load if you haven’t exported one from the Keep. But if you would like Inquisition to reflect your existing Dragon Age universe, it is recommended you visit the Keep first. Does every choice in the Keep impact Dragon Age: Inquisition? Not every choice will impact your playthrough of Dragon Age: Inquisition. However, this means we can accommodate importing for future Dragon Age titles. I can't import my world state due to 'Family Settings' (Xbox only). How do I fix this? Please check your privacy setting and make sure that Share outside of Xbox Live is turned on. Then go through the new game start again and you should be able to import your world state from the Keep. Are there any browser requirements for the Keep? The Keep works for most modern browsers. However, we do recommend visiting the site using Chrome on your desktop computer for your first time visit, as it seems to work best there. *NOTE: This does not mean you won't be able to import a world state to these platforms or consoles. It's just important to note that their browsers do not have adequate HTML5 support so you may not be able to see the Keep as it was intended. You are still able to create your world states on a different device and export it to play on Xbox 360 or PS3. *NOTE: You can still use the Keep on these platforms, you will just have to use another browser or device to watch the ISS. Is there a way to access the Keep offline? Unfortunately not. However, you don’t have to be online for very long to create your World State and upload it to Dragon Age: Inquisition. Once that’s complete, you can disconnect from the internet and start playing the game. Does the Keep work on tablet and other mobile devices? Yes! You can take the Keep with you on the go for instant world state creation and changes. I'm having trouble accessing the Keep due to errors or other technical issues, what can I do? Please give our troubleshooting steps a try. If those don't work, tweet us @DragonAgeKeep. Can I directly import saves into the Keep? Unfortunately you won’t be able to directly import saves from DAO or DA2. However, over 300 choices are accounted for in the Keep, so you’ll be able to recreate your Dragon Age universe down to the details. What about if I played all Dragon Age games/DLCs on the same platform? It still won’t direct import. But, if you played different Dragon Age games or DLCs on different platforms then the intention is for the Keep to recognize that regardless of how/where/what/when you played. However, you do not need to have played the DLCs to set any choices on Keep related to them. How will Dragon Age: Inquisition know what choices I have made in the Keep? There is a World State Manager in the Keep that allows you to mark a World State for import into Inquisition with the click of a button. When you start a new game in Dragon Age: Inquisition you will then have an option to import from Keep. It’s that easy! Can I have more than one world state? Yes, you can create and save up to 10 unique world states in the Keep. So for example, if you want to create a Darkest Timeline where everyone dies, you can. Are there explanations/context for choices? Can I share my world states with people not on my Friends List? You'll have to add a friend first to share your world state with them. If you've set up your world state on one Origin account and you'd like to use another, you can use the sharing feature in the Keep to move your world state to a new account. Is there a character creator? Sadly not. The Keep will attempt to recognize your Wardens and Hawkes from previous playthroughs so they can be reflected as part of your history, but you won’t be able to edit appearances or customize new characters. Wait, so I’ll be able to see my Wardens and Hawkes in the Keep? Yes, but it’s only a 2D image that is uploaded to the site to act as an avatar for your hero. No other character data is imported into the Keep. We should mention that importing your custom Warden or Hawke will not have any impact on Inquisition. You can switch from one of the defaults in the Keep to your custom Warden or Hawke at anytime. Will the Keep take classes/specializations into account for my hero? Classes, race, gender, and origin story are taken into account for your hero, yes. However, specializations are not. As the Keep continues to grow and evolve, it may be something added in the future, but currently its focus is on hero data that impacts the world choices. Why are my heroes/accomplishments not showing up? We're working hard to smooth out any remaining issues with the syncing feature. Go here to learn how to check syncing on your account. Do I have to pay to use the Keep? The Keep is online only and is free for everyone. All you need is an EA (formerly Origin) account ID to log in. For more information and updates, follow us on Twitter @DragonAgeKeep. If you need assistance with anything Keep-related, please tweet us with the tag #keephelp! Although they might not be mentioned in our release updates, we’re aware of these issues and are working on resolving them. Some DA:I and DA:I DLC tiles may not unlock correctly after completing the game. These can be manually unlocked by using the spoiler toggles (globe menu>gear icon). Users who created DA:I heroes while not connected to an EA (Origin) account may see default hero names and not the custom names they entered during character creation. DA:I playthroughs do not display the same custom heroes as used when importing world states into the game, and will show default heroes instead. Users with very large counts of heroes may encounter timeouts on loading the site. Music can stop playing on ISS if launched repeatedly in Internet Explorer. Some devices may trigger a crash when playing the ISS. Examples include the iPhone 4S or earlier, Nexus 10 tablets, and gen 1 iPad minis. You cannot view the ISS on some devices, including PS4, or Safari with incognito windows. For more, please see the list of unsupported browsers. The ISS may halt during playback on some devices/browsers. Users may not be able to access all world states or the option to create new world states on some mobile devices. Please use another device to do this, if required. For more information, please see the list of supported browsers. Windows 10/Edge browsers may have difficulty swiping the tapestry. There may be issues with easily closing displayed modals on mobile devices – click on the right-hand edge to help with this. On Android phones, you sometimes can’t swipe between world states after closing modals in landscape mode. Some devices may display their selection of peek menu items slightly out of alignment with the visual elements. Items can be selected by tapping carefully on the edges of the buttons. Users with very large numbers of playthroughs or heroes may have trouble loading the site. Loading a saved game from DA:I should help correct this issue. It’s possible to create invalid World States by locking unapproved choices. Deleting playthroughs may cause only one page of results to be shown afterwards when on mobile. This should be fixed by a page refresh. Achievements manually unlocked are not included when re-syncing. Custom DA:O and DA2 heroes from playthroughs may show as default heroes. However, all data for them other than name should be correct, and they can be re-selected if desired. Deleting multiple DA:I heroes will throw an error. This can be fixed by refreshing the page after each deletion. Not all custom heroes show up during hero selection. Career unlock data doesn’t show up for all EA (Origin) accounts or personas. Custom DA:I heroes may appear with default names in the 'Heroes' section instead of custom ones if you were not connected to your EA (Origin) account when you created the character. Some DA:I tiles may not correctly unlock based on events played in DA:I. You may encounter audio playback stopping while navigating the site. Refreshing the page may restart it. Muting a user you are friends with will remove them from your friends list. You may be unable to access some parts of the site if you have noscript, Adblock, or similar tools enabled. If you find any bugs or know of an issue not on this list, please let us know on Twitter @dragonagekeep. After using the Keep to set up your world state for Dragon Age: Inquisition, you may discover that you have done all the work on the wrong EA Account and have no way to import the world state to your game. This can be worked around by making your two accounts "Friends" and then sharing the world state between accounts. Log into Origin from the account you have saved your preferred world state to (old Keep account) and use the "Add Friend" feature to add the account you want to play Dragon Age: Inquisition on (DA:I account) to your friends list. Depending on your settings, you may need to log in on the DA:I account to accept the friend request, please do this before the next step. Go to https://dragonagekeep.com/ and sign in with the old Keep account. Click on the globe symbol at the top right of the screen to display a menu containing your saved World States - you may need to click on "Load Additional World States" to see all of them. Select the World State you want to use. A new window will open, and on that window above the character cards you will see a row of icons. Click on the one that looks like a picture frame with an arrow coming out of it. A screen will open giving you the option to add a custom name and description to the world state, and a list of your Origin friends that you can share it with. Please give the World state a name, then choose the DA:I account from your friends list and click "Share".​ You will receive confirmation that your world state has been shared. Log out of the Keep and log back in again on the DA:I account, go to the World States area, and you will see that this World State is now available for you to load in the Keep. Load it up and then log into the game. If you have your Keep data on your preferred EA Account but find that your console is using a different EA Account, you can take that console account and update its email address by following this guide: Switching emails from one EA Account to another. Find information about characters, multiplayer, and DLC packs.